← A Rosé for Now + A Cabernet for Later! Wines for your Late-Summer Barbecue & Just In: Whispering Angel Magnums! Hoping to make the most of your grill in these last few weeks of summer? Here’s another great wine for barbecuing! 15% discount on 12 bottles, net $12.74From the Badiola vineyard of Chianti, Tuscany; at an altitude of 500m, this vineyard has a medium-limestone richness and a distinct backbone. Planted with Sangiovese and Merlot, all with southern exposure, at high density and cultivated Guyot style for the Sangiovese and spur cordon-training for the Merlot. The wine is deep ruby in color, with intense aromas of fresh red berries and cocoa. Soft and smooth on the palate, with flavors of wild blackberries and raspberries; well-balanced, with great depth and a long finish. Whispering Angel is, far and away, our best-selling rosÃ© of the summer – and, unfortunately, we’re out of stock of the 750 ml as is the RI wholesaler. We are being told by the wholesaler the 750 ml will be out of stock for a few weeks and with summer winding down, we’re not sure how long 750s will be available once back! To keep up with demand, we’ve brought in the magnum size (great for sharing with friends) and recommend that you stock up while we have them! These are typically much more expensive, but John was able to negotiate a great price, which we’re passing on to you. Splendidly pink in color, this highly-rated rosÃ© has a fresh, fruity aroma, is crisp and dry on the palate, has a sweet, tangy flavor with hints of strawberry and lemon, and presents a pleasant, clean finishâ€¦ A perfect pairing for your favorite fish or chicken dish! 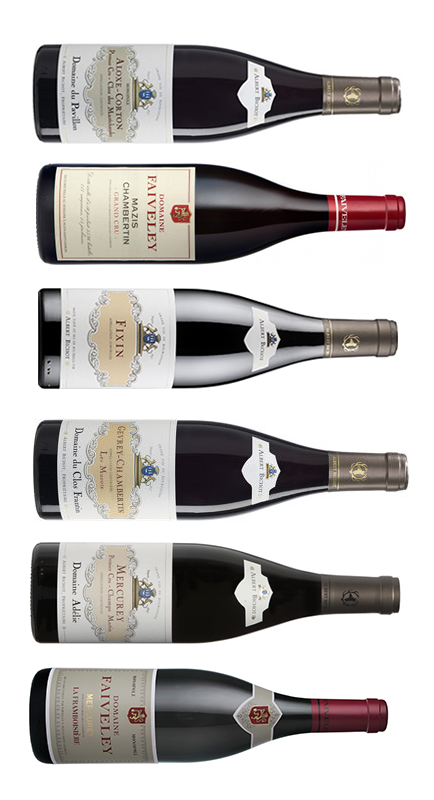 Don’t forget – 2013 Burgundies are arriving now! 2013 was another very short vintage in Burgundy, and the best producers had an even shorter crop since they dropped a good amount of fruit to assure ripeness. The whites are very expressive and enjoyable at a young age, but will age for 5+ years. The reds are very good, though not quite as forward, and I suspect will also age quite well. Please find below some of the wines we purchased at pre-sell that have just arrived. We tasted all of the wines before ordering and all are are great wines. Mix-and-match twelve bottles for case discount of 15%!